While some US states have ditched plastic bags and taken ample steps towards waste reduction, others have made considerable efforts to actually ban anti-plastic legislation from coming into effect. Coca-Cola’s recent proposal to form a non-profit management team, comprising producers and retailers, to oversee the implementation of the UK’s deposit return scheme (DRS) was highly encouraging. But recent action on waste from key industry players suggests the idea could be highly flawed. Developments from the likes of Starbucks have shown that sales still remain the top priority for many leading companies, and they continue to drive what has been up to now a painfully slow process of improving the state of FMCG packaging. The US-based coffeehouse chain announced a global ban on plastic straws and a UK-only 5p ‘latte levy’ on single-use cups. While none of this is particularly bad news, the contrast in how these steps will be applied is particularly frustrating. Levies are nothing new in the UK. They have already been hugely effective in reducing the circulation of plastic bags in supermarkets, results which prove there is very little risk to sales by charging slightly more for a paper cup. Consumer attitudes towards plastic are very different in Starbucks’ own back yard, however. While some US states, most notably California, have ditched plastic bags and taken ample steps towards waste reduction, others have made considerable efforts to actually ban anti-plastic legislation from coming into effect. If a substantial, long-term plan has to be drawn up to gradually change opinion, a relatively ‘minor’ ban on straws is arguably more appropriate than a sudden additional charge on paper cups. Opting for the latter so soon would undoubtedly hit Starbucks’ US profits hard, given the country’s relatively slow progress towards achieving widespread sustainability. Single-use packaging might be contaminating seas at an alarming rate, but few companies are willing to take one on the chin for the sake of the planet. The other option is a discount on reusable packaging for consumers, but Starbucks and many of its fellow coffeehouse chains have already offered these for years – or even decades in some cases – at prices as high as 50p. But with the levy’s three-month trial in London generating a 126% increase in reusable cups, one gets the impression consumers are more scared of losing money than they are interested in saving it. Much of this can be said about companies as well. So why should the UK government hand over the control of its DRS to a management team containing producers, of which many have at least one eye on their financial performance? 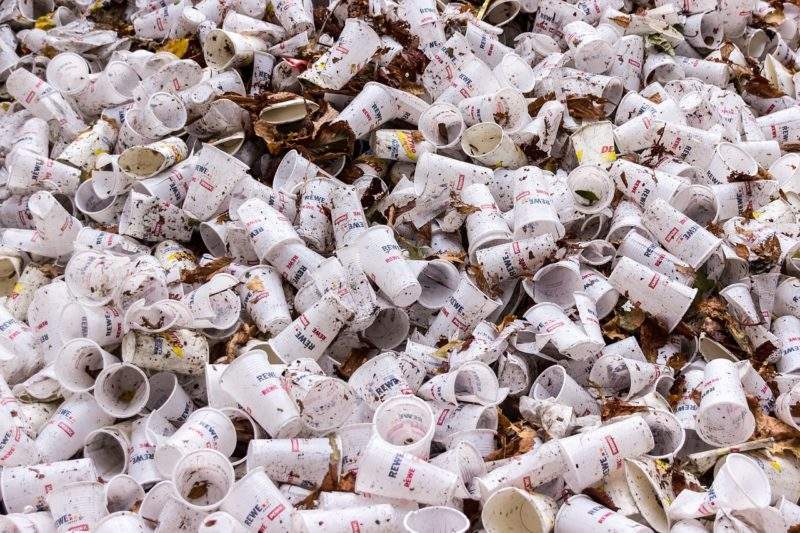 If the paper cup levy has shown one thing, it is that charities are the solution. Starbucks worked with environmental organisation Hubbub during the trial, with all proceeds donated towards sustainable packaging campaigns. This will continue once the levy resumes, not only benefitting local recycling but ensuring the levy has a single, unwavering priority. When it comes to the DRS, the government would be wise to follow suit.